Are you ready to rock? Look no further and rock out with this pie chart! Whether your child plays the guitar or the drums or is the lead singer of the band, he will enjoy learning how to make a pie graph and interpret data while answering questions based on the information given. 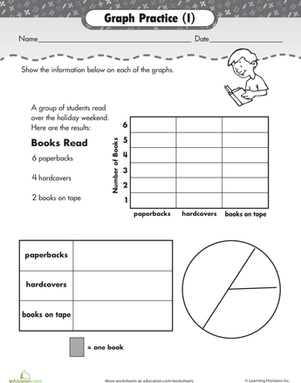 Your little baker will practise analyzing the data in a circle graph (or pie chart).